I am just finishing a tentative celebratory tipple to toast our new-found planning permission. 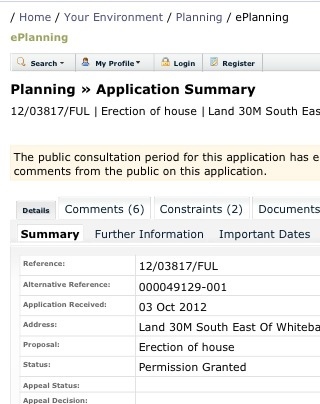 Ten minutes ago I found an email from the architect saying he had checked the planners’ website and it says that permission has been granted for our house. We haven’t had any official confirmation or contact from the planners, hence the tentative celebration, but hope is renewed. This entry was posted in Building the House at Cuil Bay and tagged planning permission, self build by nager. Bookmark the permalink.